And, here is what I did with it! I can tell it's just about time to plant flowers! I keep doing flower cards in bright colors! Almost time!! Card base is Elegant Eggplant. Background is Certainly Celery DSP. I did stamp the long stem image from this set, but you can barely see any of it because it's all behind the Top Note. The Top Note was cut from Shimmery White Cs and is stamped with the floral/stem image. I inked the image using my Certainly Celery & Elegant Eggplant markers. The edges of the Top Note were sponged with Elegant Eggplant. I tied Certainly Celery satin ribbon around the bottom. LOVE all the satin ribbon!!! I added Silver Vintage brads at each point and a saying from the set on ovals. Quick and easy and I have a card on hand for the next birthday that comes up on my list!! 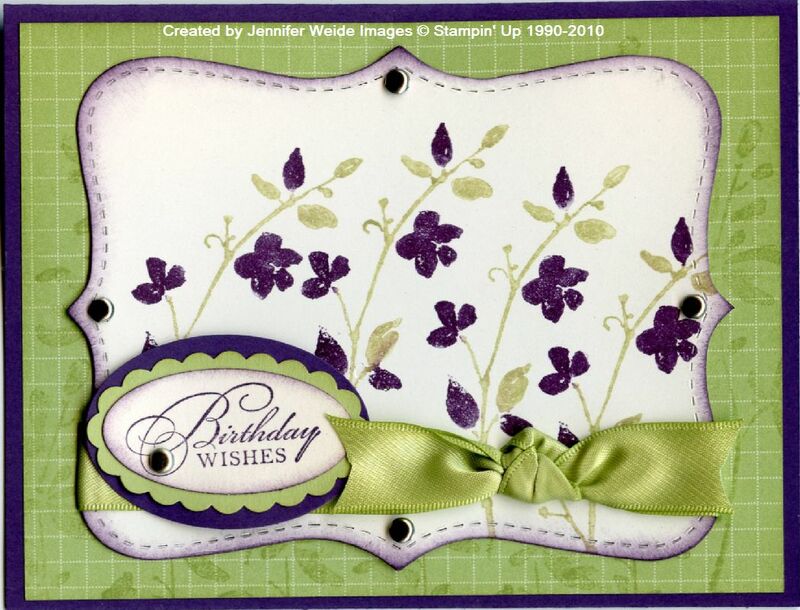 Fabulous card - soooo pretty! I love your choice of colors! I may have to order this set and then...case it! 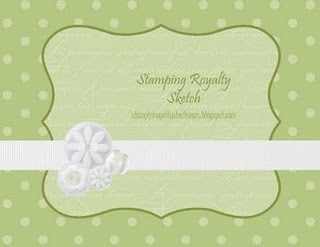 Thanks for playing at Stampin' Royalty! This is a gorgeous card! Love love the colours! Thanks for playing along with us at Stampin' Royalty! Great card!! I love that stamp set. I also love what you did with the sketch. Thanks for playing with us at Stampin Royalty.